In our enthusiasm, we often liken sport to war. Teams go into battle, they conquer the enemy or are put to the sword, they are gladiators and heroes and to the victors go the spoils. From the stands or their couches, fans scream “Kill him” and “Take him down”. They, we — OK, I — hang on a game’s life and death moments. We punch the air if our team lives to fight another day. If there’s blood or aggro, it simply adds to the spectacle. But in real theatres of war, sport is not about conquest at all, rather a distraction to soldiers from the mortal contest in which they find themselves, a reminder that life can be normal when it’s anything but. All manner of sports have been played by soldiers of all nationalities in war zones across the globe in the name of blowing off steam or killing time. 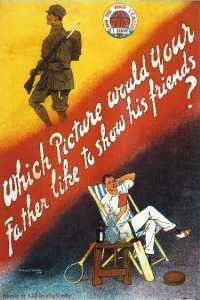 Naturally, Australian soldiers have been in it up to their armpits. They introduced Aussie rules to the beaches of Gallipoli and, when it was time to evacuate, staged a game of cricket to convince the Turks nothing out of the ordinary was going on. Various Melbourne Cups have been staged, by the famed Light Horse Brigade in World War I and, more recently, troops in Afghanistan using donkeys for their steeds and Aussie larrikinism for their creed. And they’re off. 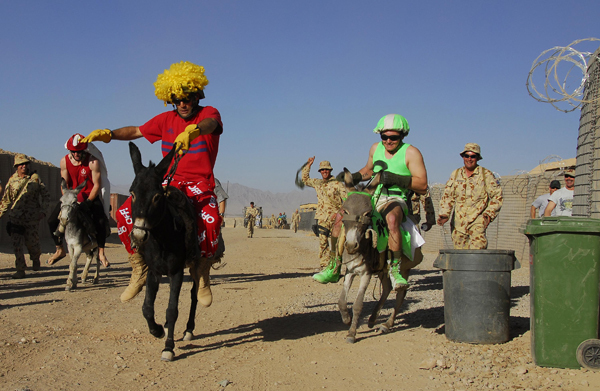 ‘Melbourne Cup’ in Afghanistan. British and Australian prisoners of war played their own version of Ashes cricket, while in World War II soldiers held at Changi ran a nine-month football competition, won by Victoria, first catching wild pigs from which to make the balls. That’s how badly they wanted to play. 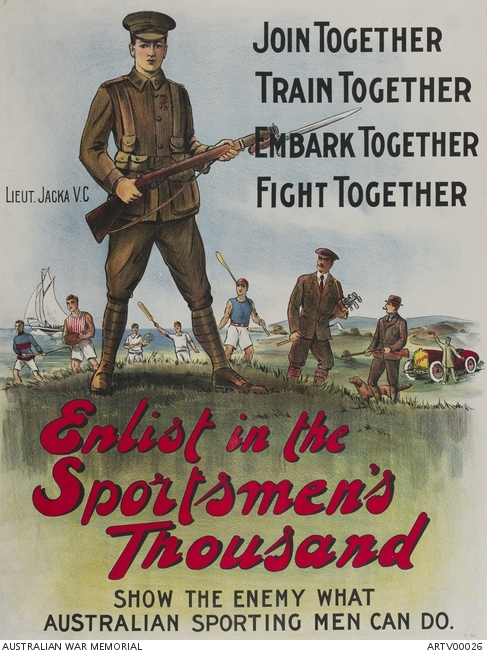 On a less savoury note, some recruitment pushes in World War I invoked sport to first encourage and then shame Australian men into enlisting. On the other hand, one of the world’s great sporting movements, the Paralympics, was born of war, started by a group of British World War II veterans in 1948. The fact that large portions of some teams at the recent Sochi Paralympics, such as the United States, were returned veterans reminds us of the continuing prevalence of war in our lives and the toll it takes. The Roosters are playing the Dragons as I write this. It is 5pm on Anzac Day. There are some who argue it’s disrespectful to hold rugby league and AFL matches on this sacred day. But sport is embedded in our war history. It has provided a mental lifeline to those in the thick of the insanity of war. And it should play its part in this day of remembrance. I just hope the Roosters flog the Dragons.